The medical industry is driven by a need for high-quality products that can deliver longevity, whilst meeting the strictest of international regulations. 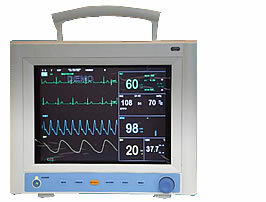 Variscite’s best practice development and production capabilities provided an excellent basis when designing the board-related electronics of an advanced patient monitor for a leading US-based medical company. The application required complete international medical standards compliance, incorporating FDA and CE Class B regulations. The specific customized design was based on the very flexible VAR-SOM-MX6 System on Module architecture, supporting single, dual and quad Cortex A9 at up to 1.2 GHz. This flexibility enabled the customer to introduce several product levels – all originating from the same hardware and software architecture. Based on Variscite’s high reliability, long-life and low EMC radiation solutions, the VAR-SOM-MX6 with a dedicated carrier specially designed for this product also included enhanced ESD protection in a fully isolated design.